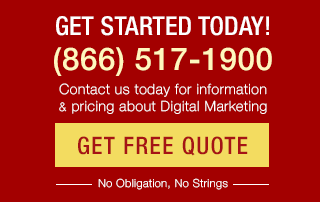 In 2011 the Internet marketing industry had yet another year full of huge changes. In other words, it was business as usual. Google rolled out its Panda update, an adjustment to the search ranking algorithm that aims to remove low-quality content from search results pages. The update also had repercussions for the practices of conversion rate optimization and analytics. To help you keep track of these changes and more, here’s of the first day of our “Best of Search Conferences” for 2011, with top takeaways for analytics, paid advertising, SEO and CRO. Even though Web spam has been easy to identify for a long time, there’s still a mass perception that SERPs show too many sites with low-quality content. Panda aimed to take care of that. Panda isn’t targeted at usability. It tries to decide whether or not a user would find the site useful. Matt insists SEOs shouldn’t chase the algorithm: they should chase what they think users are going to love, because that’s what Google is after. The healthiest thing for the long-term growth of the Internet is helping great businesses thrive. If you’re bored writing an article, a user will be bored reading it. Don’t just write Subject 101 articles – the Web is full of them. Spam is any content not visible to the user. 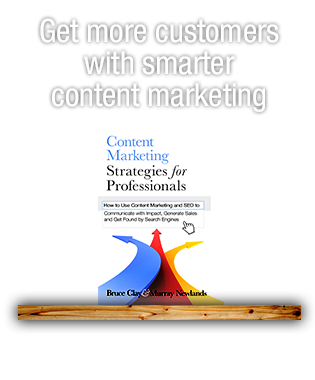 However, it’s not spam if, at the bottom of a content-filled page, the article asks “Do you want to see more?” and you utilize Ajax to make more content appear. But it is spam if you’re doing keyword stuffing or anything spammy in that additional content. Contrary to rumor, Google doesn’t count Facebook shares in ranking, because it can’t see them. Google can see Fan pages but that’s about it. Also, Google no longer gives more link juice for links from .edu or .gov domains. About 90 percent of search channel budgets go to paid search, which only gives 20 percent returns. 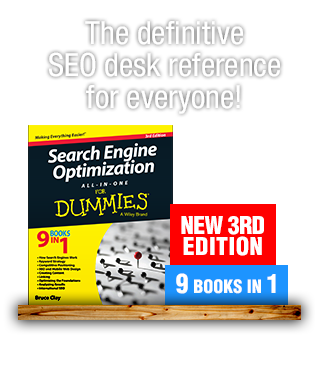 On the other hand, only 10 percent of budgets go to SEO which usually generates returns of 80 percent or more. Why is paid search more popular despite being less effective? It’s because paid search is much easier to track and measure, while the ROI of SEO is harder to pin down. There are 4 key measures when calculating the value of SEO: the value of search equity for the site being optimized; the media value of natural search; the value of various actions across the site, both individually and aggregated; and the value of stress and time costs to your organization. If you can put numbers to each of these, then you can measure the success of an SEO campaign. Branded vs. non-branded keywords: understand the ratio of each. Grab your keywords data, put it in a spreadsheet and then sort the keywords according to whether or not they’re branded. While rankings on brand-related keywords help you spot opportunities or problems, the primary metric should be non-branded traffic. In order to increase your site’s conversion rates, you need to know where to start the optimization process: your home page, high bounce rate pages and high exit rate pages are good places to start. Look at the number of visitors that go to category pages but not product pages. Call this your “pre-product page abandonment rate” (PPAG) and set a goal for 25 percent or less. The “product page effectiveness rate” (PPER) is the ratio of visitors who click the “Add to Cart” button versus all visitors for that product page. You should set a goal of 10-15 percent for this. Rankings are less important to look at than traffic and conversions, because rankings fluctuate daily. It’s not important to keep track, but just to have an overall idea. Measure your site by performances: clearly define your goals and put them in your analytics. After all, until you know your goals, you can’t judge what’s making you money. If you’re not measuring what’s making you money, you’re not measuring anything at all. Best practices for paid search testing include generating a good, specific hypothesis, creating an experiment to test it and analyzing the results. When you’re going to test, you need to determine the purpose of your test, the testing variables, the timing, launch and analysis. Set your test budget in advance and understand that you may not make any money from it – and may lose money if the test fails. You have to let it run all the way through anyway. Make sure you address actual problems in your test, not just “Which color is best for this button?” An effective hypothesis is specific, testable, solves conversion problems and builds on marketing insights. Eye-tracking tools are very useful. Such tools can reveal where people look, what people don’t look at, how people separate info on the screen into “chunks” and in what sequence people look at the page. However, don’t assume that where people look is where they pay attention: we all use our peripheral vision. Google has been working hard to make ads more relevant for users: almost a third of queries with ads have at least one new ad format. With Google product ads you can show customers your inventory and prices before they even get to your site. Product search comes fromGoogleMerchantCenter; you can link up yourMerchantCenteraccount with your ad account. Click-to-call phone extensions can make for a great user experience – not to mention that advertisers get two links to show. Plus, vanity phone numbers (e.g., 1-800-MY-BRAND) can maintain the brand; because Google recognizes vanity phone numbers, you can add those to your account. Before Panda there used to be manual quality rating and time-limited penalties. Now there’s permanent quality assessment during the crawling and indexing processes, which means that algorithm improvements create permanent pressure on keyword positions. You need to watch what’s happening in the SERPs that matter to your business and check for any problematic shifting of ranks that may be due to Panda. 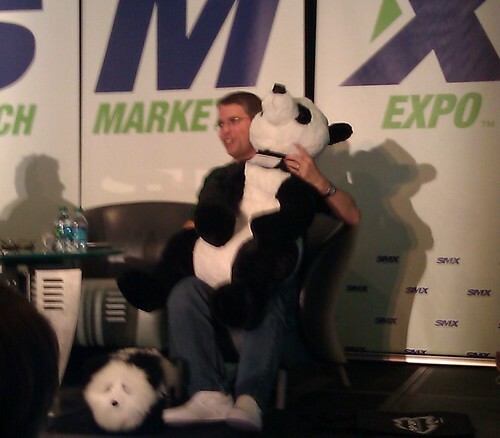 If you’ve been hit by Panda, there are a few steps you can take to figure out exactly how to get your rankings and traffic back. Determine which competitors were relatively unaffected and why, who got hit and why, then compare backlink structures, content and structure of competitor domains, Adsense and affiliate load, social network activities and user experience. Figure out who’s doing better in the right area and then implement changes to mimic them. If you’re looking to replace traffic lost due to Panda, PPC is the main replacement option and it’s pretty costly. Take a lesson from JC Penney: never buy links. Originally they had 200k visitors daily; that traffic went up once their link buying campaign took hold, only to tank once the penalty went into effect. The site had slightly recovered when Panda hit, and they’ve since bottomed out again. Let’s repeat: NEVER BUY LINKS. Closely scrutinize sites that link to you or that you’d like to get links from. Make sure they’re not involved in any suspect behavior – if you associate with them you’ll get infected, so to speak. Make sure your inbound anchor text varies, as well as what page gets linked to. Spy on your competitors’ link building campaigns and see what works for them that you can adopt. Predicted ROI is equal to the anticipated revenue from SEO efforts minus the proposed cost of the project. Both of these elements are hard to pin down. After all, given three worthy choices on a SERP, users may choose one based on their passion rather than the order of the results. You can never be 100 percent confident in your ROI predictions because there are too many factors out of your control: the actual implementation of SEO recommendations; the actual number of inbound links gained; the level of competition and their SEO sophistication; the ongoing algorithmic updates; and your ability to update your projections. According to Bryan Eisenberg, there are 3 parts to CRO: tools (creating pages, testing, personalization, campaign and automation), people (management, creative execution, test setup implementation, outsourcing) and process (planning and creating new ads and content, optimizing old ads and content). It’s estimated that nearly $57 billion will be spent this year on generating website traffic, but only about 2-3 percent of visitors will convert. With mobile and social, customer behavior has changed radically in the past 5 years. You should be conducting at least 20 tests per month. Amazon.com does 200 tests per month, which is part of the reason they get 30 percent of every dollar spent online. Audience segmentation is crucial to CRO. Who is the audience for a particular keyword query? What do they want – what are they after? Give people choices and let them self-segment themselves on your site. Advanced Keyword Modeling consists of a variety of techniques that help you hear “the voice of the consumer” and match your content to queries, as well as identify new products and services. One method is to create a list of keywords that your site “misses” and develop a plan to gain traffic from them. To some people, remarketing is creepy, as if the ad is “stalking” you. However, “creepiness” only becomes a factor when marketers don’t use techniques to prevent it. One technique involves rotating ads to show different images, colors and text, so the user doesn’t keep seeing the same ad. You can also use Google Adwords Express to control the number of times a person will see an ad – once a week? Twice and that’s it? After a certain point users just aren’t biting and seeing the same ads just annoys them. While Quality Score in advertisements is important, a low score is only a symptom of deeper problems. You have to figure out what’s wrong and how to fix it. Google Places has become very complicated and difficult because there are so many more indicators of authority in local search. The two biggest recent changes in local search occurred in October 2010, when Google brought out integrated search results (or “O-packs”) that listed organic and local results together; and in April 2011, when Google got rid of third-party reviews from Yelp, Yellow Pages, etc., when calculating the average review score. Citations have been found to have the biggest effect on Google Places rankings. Citations are entries in review sites like CitySearch, Yelp, and other local directories, and they’ve turned out to be very important factor for ranking. On average, higher ranking pages showed about 3,000 different citations showing up, whereas lower ranking ones showed fewer than 100. It’s important to keep the business name, phone number, address, etc., exactly the same across directories. How do you encourage user-generated content like product reviews? Put some links to review sites (at least 4) on your site. Include a mix of general and industry-specific sites. Have a statement like “Read our reviews” or “Write a review”. Just over the course of a regular navigation of a site, people will often stop by and read a review or two. If you have a customer email list, identify everyone who uses Gmail, Yahoo, etc. Anyone on Facebook should be sent to CitySearch because that site allows them to log in via Facebook. It’s all about pushing customers toward places where they can leave reviews. For Gmail users, you can send them direct links to Google+ pages: they’re already logged in, so they can give a review quickly and easily. Thanks for the updates, especially on SEO. Some worthwhile information there.